That’s my goal for each of you reading: to show you that comfortability won’t help you move forward, that safety isn’t your friend, and that stepping OUTSIDE of the box will yield you more than staying in it ever will. So you’ve made it this far into CMM. 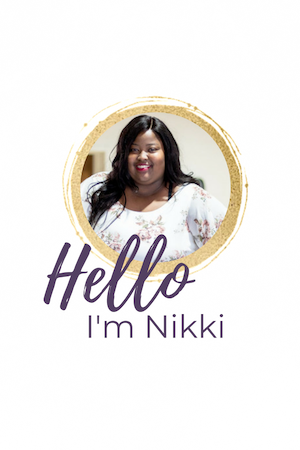 I’m Nikki, a corporate woman in the middle of the Midlands in South Carolina. You’ll often find me binging Netflix, playing video games, playing with my puppers, or cuddling with my husband. Career wise, I’m a Business Analyst at a local insurance firm as well as a college professor for a local for profit University. Over time, the way that I got into both of these roles will come out and they are both really funny, but innovative ways. Something brought you here I’m sure. It could be wanting more out of your career, wanting to know about others careers, getting advice, working through the corporate kinks, or just browsing through. I started Corporate Melanin Millennial out of a need for a space with resources for black millennials by a black millennial. I hope you’ll find use out of my tip sheets, personal stories, interviews, and how-to’s. I promise to keep things honest, blunt, and sometimes hilarious. I call master a subject matter expert at many things. I have a Bachelor of Fine Arts in Public Relations, and a Masters of Fine Arts in Professional Communications. How does a Communications major find herself in the tech world? A lot of mentors, training, and willingness to NOT just do what I thought was comfortable. That’s my goal for each of you reading: to show you that comfortability won’t help you move forward, that safety isn’t your friend, and that stepping OUTSIDE of the box will yield you more than staying in it ever will. If you have any questions I am always available to answer them. Browse through my blog, sign up for the newsletter, or send me an e-mail. I look forward to this journey with you my Corporate Melanin Millennial friend.